Written by BRIAN MICHAEL BENDIS Penciled by MIKE DEODATO JR. & CHRIS BACHALO Cover by MIKE DEODATO JR. After years of mystery, the secrets of the Sentry are revealed! How deep is his madness and who is really in control of him? What is the limit of his power, if any? And what deadly mystery surrounds him causing mortals and gods to tremble in fear? Plus: In the middle of SIEGE, Ms. Marvel and Hawkeye take center stage in a sick twisted battle, and launch their own agenda, revealing their true relationship, and their personal plans for Norman Osborn. 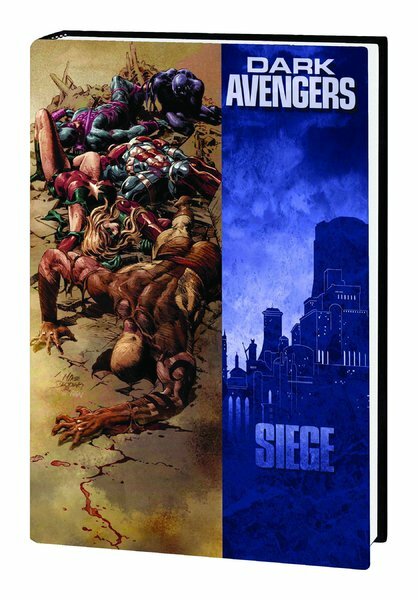 Collecting DARK AVENGERS #13-16 and DARK AVENGERS ANNUAL.